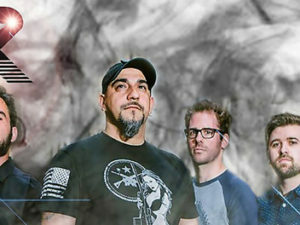 Madison Rising is a hard-hitting rock band from the greater New York area. The band is led by Air Force Veteran Rio Hiett with support from Samuel Fishman, AJ Larsen and Tom DiPietro. After gaining national recognition for their rocked-out rendition of The Star Spangled Banner, they have toured around the world. The band has promoted the ideals of patriotism and honored our veteran community around the world. With their newest release “Battered Not Broken”, they hope to bring more attention to issues like PTSD. ​The band has performed at events such as NFL games, the opening ceremony of the 2014 Special Olympics, the opening ceremony of the 2015 World Police and Fire Games at RFK Stadium, at NASCAR, the 73rd Annual Motorcycle Rally at Sturgis, 2015 National Police Week on the West Lawn of the Capitol as well as many military, corporate and veteran events both at home and abroad. Madison Rising has opened for rock legends like Aerosmith & Lynyrd Skynyrd and country stars such as Trace Adkins & Toby Keith. In a recent phone conversation with band manager, Anthony Maitilasso, Bold Americans learned first hand of the bands commitment to supporting US military veterans and actively engaging in collaborative veteran support initiatives for PTSD, active duty to civilian transition, veteran entrepreneurial support programs and more.